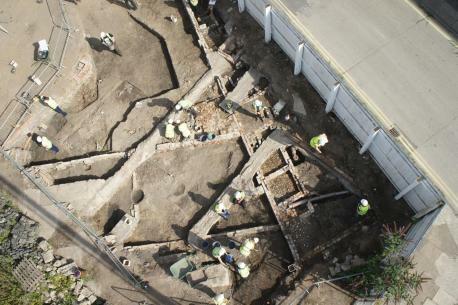 The church of St John the Baptist, of which little is known and no pictures survive, was found during a 12-week excavation at the Hungate site over the summer by an Archaeology Live! team, and the project will now try to piece together more of its past. 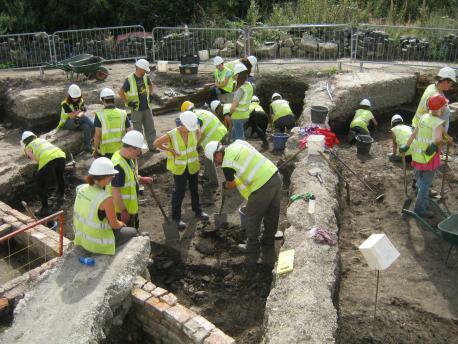 The group of student trainees, professionals and archaeology enthusiasts found fragments of three of the church’s walls, allowing them to gauge its size and where it stood. It is thought to have been a poor church relying on several wealthy benefactors, which struggled financially when they died or moved and was eventually decommissioned and demolished. 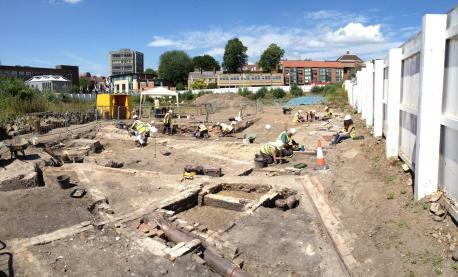 The dig is a York Archaeological Trust project carried out as part of Hungate (York) Regeneration Ltd's redevelopment of the site, with the firm funding commercial work and giving archaeological teams permission to carry out excavations. Archaeology Live! supervisor Arran Johnson said the team started to find pieces of tiles and stained glass towards the end of the training programme. “We don’t think anybody ever got round to drawing this church, so all we have are a handful of documentary references and maps, but it’s really exciting - it’s an archaeologist’s dream to discover a lost church,” said Arran, an assistant field officer with York Archaeological Trust. 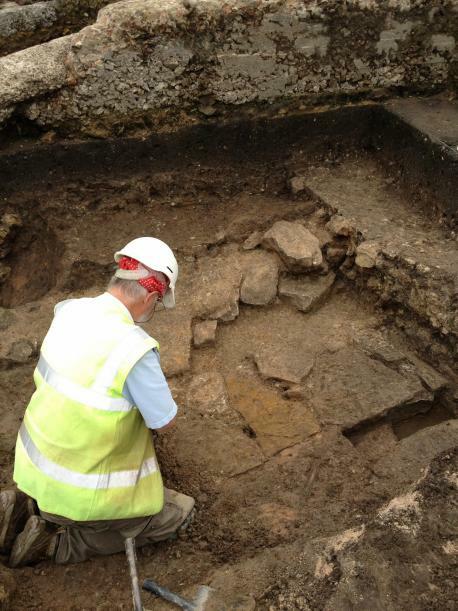 “The archaeological team have done fantastic work already, and now we know it’s there, we can flesh out the picture.